500,000 sharescommission-free tradingfor new clients.  Alaric Trader is offering an incredible promotion for its new clients. Open a new trading account, use the promo code “500KFREE“, fund it with at least $10,000 and get 500,000 shares of commission-free equity trading. Offer is available for the first 500,000 shares traded during the promo period of 1 month. Traded shares exceeding that amount will be charged according to the official Commissions Schedule. Commissions will be credited back 15 days after the start of the following month. Offer is also not available to Margin accounts which use leverage larger than 2:1 (overnight) and 4:1 (intraday). Only NASDAQ, AMEX, and NYSE listed stocks are eligible. Does not apply to non-exchange listed stocks, i.e. OTCBB and Pink Sheets, options or futures. Standard rates will apply after the promotional period.